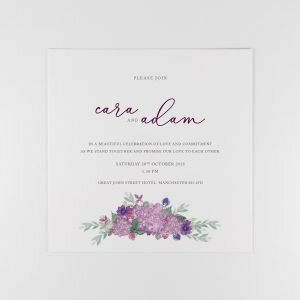 How long will my wedding stationery take to arrive? Production lead-time on all of our ‘House Collection’ wedding stationery is 7 – 10 working days from approval of artwork. Once despatched your order will arrive most likely within 2 – 3 working days but is not guaranteed. Your order will be sent via Royal Mail 2nd Class Recorded post. There is an option to upgrade your delivery service to next day delivery however there will be an additional fee. Bespoke Stationery lead-times are quoted individually and will be confirmed during the briefing and quotation process. What if I need my stationery sooner than the estimated times? We are happy to speed the production process up where possible so please get in touch and we will try our best to accommodate. 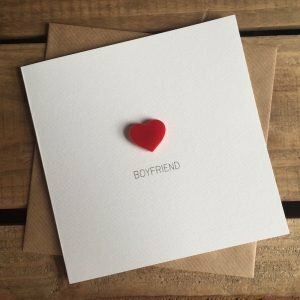 Can I change the wording for my stationery? Yes of course, all of our ‘House Collection’ stationery is customisable to your own wording. Our examples are purely to use as a guide. Please add your wording using the customisation boxes when placing your order or send afterwards by email to orders@jellypress.co.uk remembering to quote your order number. Can I change the colour of my stationery? Colours are customisable on the majority of our ‘House Collection’ stationery. If colour customisation is available on your chosen design you will see options to change the colour. The colour options on offer have been carefully chosen by us based on the most popular colours of the moment and style. If you like a particular design but would like it printed using a colour not available please get in touch and we can arrange this. I really like one of your designs but would like to use a different colour thats not offered? That’s not a problem, our colour options have been carefully selected but we appreciate they will not suit all so please get in touch and we can discuss your requirements. 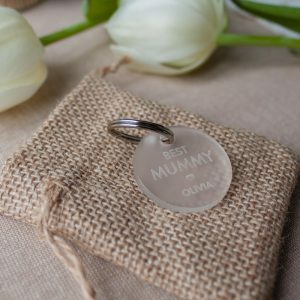 I am about to place my order but don’t want to add my wording to the customisation boxes during the order process, can I send this by email? Yes of course, we appreciate not everyone will want to add their details/wording at the time of ordering whereas others will find the customisation boxes helpful. Please email your details/wording to orders@jellypress.co.uk remembering to quote your order number. I’ve placed my stationery order, what happens next? If you have added your details/wording using the customisation boxes, great. If you have chosen to skip the boxes and send your details/wording by email then please do this as soon as possible. Once we have your details/wording we will send you a digital proof by email within 3 working days. You will need to check the digital proof carefully for errors, spelling mistakes and grammar. We will of course proof read your details/wording ourselves and raise any potential errors we suspect but it is your final approval that will count. If you have any amendments to be made please reply by email detailing these. We will reply with your amended proofs within 3 working days. This process will repeat until you are 100% happy. Once you have given your approval your stationery will go into production. Production lead-times are included within the items description. I like one of the designs in your ‘House Collection’ but would like to change it up a little, is this possible? This is possible, however this would incur an additional design fee due to the extra time we would need to spend changing the artwork to your requirements. Please get in touch so we can discuss your requirements further and we can provide you with a quotation. I want all my stationery to match, do you offer matching items? Yes we do. We offer matching items for all our ‘House Collection’ designs, from Save the Dates through to ‘On the Day’ items and Thank you Cards. If you have something in mind but are not able to find it on our site, please get in touch. What are ‘On the Day’ items? On the Day items are anything that will be used on your wedding day ie: Table/Seating Plan, Place Cards, Menus, Table Name/Number etc. I have my own ideas for my wedding stationery, can you help with this? Yes of course, please visit our ‘Bespoke‘ section for more information on this service. I would like my invitations to include our guests names, is this possible? Yes it is possible and we can offer this service on all our invitations either by adding a line for you to hand write your guests names (free of charge – please specify when placing your order) or by having your guests names printed (an additional fee will apply). Please get in touch with your chosen design and quantities and we will send you a quotation. What is ‘Please upload a spreadsheet including your guests names here’ on Table Plan and Place Cards? When ordering Table Plans or Place Cards we need you to tell us your guests names and also which table they are to be sat at for Table Plans. The best way to do this would be to send us a spreadsheet but you can also send this as a word or text document. If you would prefer not to upload your file at the time of ordering you can also send this over by email. Please send to orders@jellypress.co.uk remembering to quote your order number if doing this. I need both wedding day and evening invitations, do I need to order these separately? Yes, you would need to order these as separate items. These are useful to include any further details you wish to share with your guests regarding your wedding day ie: Accommodation, Transport, Parking, Dress Code etc. Yes, we offer samples of our ‘House Collection’ wedding stationery in their ‘hero’ colour scheme for a nominal fee of £3.50. You will receive a full suite: Invitation, Information Card, RSVP Card and envelopes along with our ‘Most Popular Wedding Colours’ Swatch. There will also be a code included within your pack which will allow you to redeem your sample cost when ordering your stationery with us. There are two ways you can place an order with us. Through our online store or direct where we will communicate via email. The fastest and most simple way to place an order would be through our online store for most of our products. How long will it be until my order is despatched? All our products have various lead-times, please check the product description for further detail on production lead-times. I need to contact you regarding my order? Sure, please email us at orders@jellypress.co.uk quoting your order number. We accept payment through VISA, Mastercard debit and credit cards. We offer free standard delivery for UK orders over £40. Our standard UK delivery usually takes between 2-3 working days after despatch. 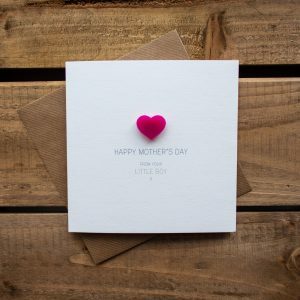 Other products such as Greeting Cards & Personalised gifts will be sent by Royal Mail First Class delivery. Please see individual products for production times prior to shipping. Please visit Shipping & Returns for further information. You can cancel your order as long as it has not gone through to production. If you would like to cancel an order placed with us please get in touch as soon as possible. Your cancellation request must be sent by email to cancellations@jellypress.co.uk before the item goes into production and/or the item has been shipped. Certain items can be returned following our terms. Please visit: Shipping & Returns for further information. I’ve noticed a mistake in my order, CAN I GET it reproduced? Please be aware that Jellypress cannot be held liable for any spelling mistakes or errors after approval of artwork. It is important that you check the information you provide initially and/or our digital proofs (if applicable) carefully. Your order can be reproduced but will be classed as a new order and charged in full. We appreciate how frustrating this can be and if you find yourself in this situation we will of course push your new order through as soon as possible. I’m unhappy with my order, who do I speak to? As we pay extreme care and attention to every order we receive we hope that this will never arise. But if you find you are not happy with one of our products then please contact natalie@jellypress.co.uk and I will personally ensure we rectify any issues as soon as possible.